Hundreds of students, faculty and staff strolled into the Zellerbach Theatre at 5 p.m. on Oct. 30 for a University-wide "Campus Conversation," organized by Penn's top administrators. The event was announced two weeks ago as a discussion on what the school can do to foster resilience in the face of student deaths, natural disasters and political instability. But in the two hours that followed, most of the attendees did not have the opportunity to offer their perspectives to the University's leaders. 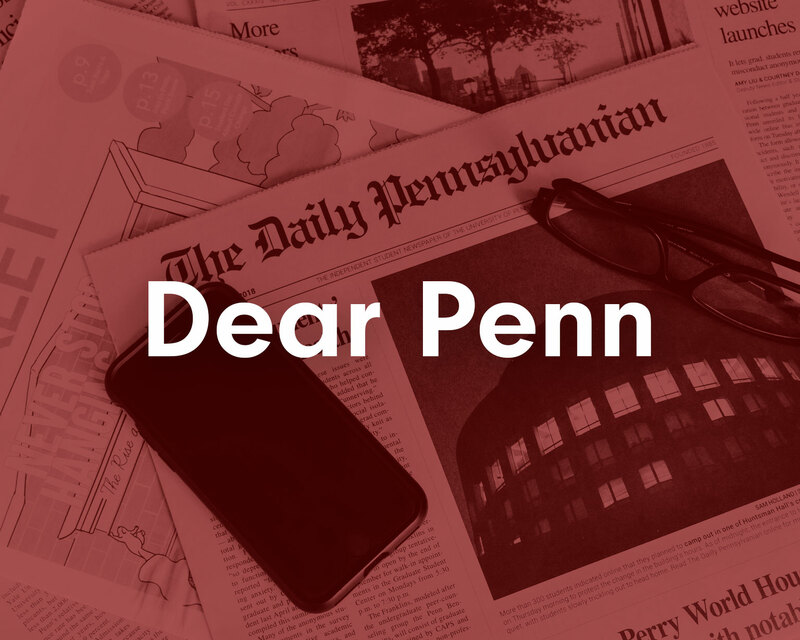 Many also left without an understanding of any concrete plans that Penn had to improve the policies and culture of this campus in a tangible way. The session opened with five minutes of remarks from Penn President Amy Gutmann and then transitioned into an interview with Gutmann and Provost Wendell Pritchett that was moderated by Undergraduate Assembly President and College senior Michelle Xu. Over the course of 22 minutes, Gutmann and Pritchett responded to four personal questions from Xu, none of which touched on administrative policy. Xu told The Daily Pennsylvanian in an email statement that the questions were provided to Gutmann and Pritchett prior to the event via an online link. According to Xu, she and UA Vice President and College junior Jay Shah asked the UA body and UA Steering committee to provide additional questions. The two administrators shared their personal struggles with seeking help and managing mental wellness, but did not discuss what Penn planned to do in response to ongoing student concerns around mental health, financial aid, academic resources or immigration. They failed to address issues such as the referral process at Counseling and Psychological Services, the 'postvention' process in the wake of a student death, the financial aid policy for fifth-year students and the lack of resources for the Asian American Studies program. At the front of the auditorium, someone was raising cue cards with numbers and the word "END" throughout the interview, suggesting that the administrators were timing their responses. After the conversation between Gutmann, Pritchett and Xu, there was a panel discussion featuring Psychology professor Angela Duckworth, Perelman Psychiatry professor Jody Foster, University Chaplain Rev. Chaz Howard and Perelman professor and Chair of Psychiatry Maria Oquendo. Annenberg School for Communication Dean Michael Delli Carpini moderated the panel. The experts discussed the different reactions to stress and the importance of community in times of adversity. After the panel discussion, audience members were guided into groups of about five to 10 people and were brought to spaces throughout the Annenberg building to hold conversations with a discussion leader. Various administrators joined these conversations. Gutmann and Pritchett sat in on various group discussion but did not participate. Attendees were also invited to submit "reflections and ideas" on the back of the program booklet that was handed out at the beginning of the event. The program booklet states that "these cards will be shared with the President, Provost, and other University leaders, including student leaders, to help guide followup conversations and planning." Many participants had positive reactions to the small group discussions but mixed opinions about the conversation and panel discussion. College sophomore Grace Bridy said she thought the small group discussions were valuable, but added that she felt the main part of the event excluded student opinions. "I feel the students were very underrepresented from the discussion on stage," Bridy said, adding that she also thought the content of the conversation was lacking. "I think we all know that we should be compassionate and understanding. I think people came here looking for answers, and it kind of sounded like rhetorically driven speech." Second-year graduate student and Chair for Operations for the Graduate and Professional Student Assembly Dean Schmeltz also said that he expected a different focus for the conversation. "I sort of had to suspend the disbelief that the conversation would be chock-full of concrete steps for specific initiatives and new programs. Then I recognized the talk for what it was — trying to be a supportive community culture," Schmeltz said. "I don't mind them being light on details at first as long as we continue to take solid steps in making this a better campus climate." But some students appreciated the administrators' personal stories. "It was really heartwarming to see President Gutmann and Provost Pritchett open up so deeply about their personal experiences in terms of loss, grief and dealing with life," Speaker of the UA and College junior Michael Krone said. "I personally had very similar experiences that I didn't realize I shared with President Gutmann and how she dealt with that. It hit really close to home with me and it was nice to resonate with that." Michelle Xu: Given everything that campus has faced this semester, I wanted to ask both of you to touch upon your own experiences. Have you ever been faced with situations that were stressful that seemed beyond even your control? And how did you respond to those situations? Amy Gutmann: Okay, I’ll start. So probably the hardest thing for me to talk about or think about was what happened when I was in high school and when I was at that age, at the end of my junior year. I lost my father. And it was sudden – I saw him die. And, so when all of my friends were getting college acceptances, there were lots of parties. And when I got my college acceptances I literally burst out crying because I thought I would, the first thing I would do was tell my father and mother. And there were only one of them. There was my mom and she was grieving as I was. And, so, more than that, I knew that I had a choice. I could either stay the course and go to college which was the dream of my mother and father for me because neither of them could go to college and we were low-income; I was first generation. Or I could step back and rethink. I decided to go to college, but it meant leaving my mother alone. I had no siblings; she had no siblings. And it was very isolating; it was a very isolating experience. I didn’t know anybody, where, at college and I didn’t know where to look for help either. I really didn’t think I could, um, talk to anybody about it because in middle school I had been bullied and I thought that anything that made you different made you be bullied. So I waited a long time before I talked about it and then I had, so, just, I don’t want this to be maudlin, just, so years later when I was in college, I did seek, I got therapy for something that I thought was totally unrelated. I knew I needed to break up with — in a relationship that was not a good relationship and it turned out when I went to the therapist it was totally related. I mean, you know, and if I had done it years before, it would’ve been better. And then fast forward, within a decade of that, I was the only woman in my department. It was my first job – not my first job, I washed dishes in a camp and things like that – but it was my first professional job, I was the only woman and I felt stronger then, I mean I still felt isolated and an outsider, but I learned that you look for community, you look for people who can both support you in a cause. And so I became, you know, it was like my mission to become a champion for women and underrepresented minorities because there were even fewer underrepresented minorities than there were women. Wendell Pritchett: So, as you were talking I was thinking about the many similarities in the story, I was gonna relate. My father is still around, but he has Alzheimer’s and he’s had it for a long time. So when we identified it, it was about 2003 and I was a relatively new, untenured professor here. Um and we were trying to figure out what was going wrong and we were taking him to all of the doctors all of whom were at Penn and all of whom were wonderful but it’s very disorienting. And it’s a disease that there is no cure though we’re trying to figure out or at least trying to make some progress on it. And again, I was relatively new teaching at Penn and I had two young kids. Um, and I was and am very fortunate that I had my wife and we were partners in dealing with this, but it really did feel overwhelming. And as I reflect this, you were just talking Amy, I was thinking how I had lots of support from lots of people, but I didn’t really talk to – and I talked to a few of my colleagues in the law school about it – but I really worried about telling too many people because I didn’t want them to think that I was making excuses [...] It wasn’t like I didn’t tell anybody. But, and I didn’t tell as many people as, on reflection, I could have, who I know would have been supportive. And another thing I was thinking about while you were talking so, so, we got through, we’re at an equilibrium right now, it’s not a pleasant one, my dad is in a nursing home right now, but he’s still around. Um, but, about three or four years later, I got pretty sick, I got shingles, which is, you know, when it comes back, when you, if you’ve had chicken pox, and I realized that actually the reason why I got sick was because I had been struggling and not taking care of myself enough. And luckily then I got more support to take care of myself. But as I reflect on it, I realized that I could have gotten more help from people who would’ve been willing to do it if I had talked to them and so that’s among the lessons that I learned. Xu: Yeah, I think that’s something that especially here at Penn, a lot of students face. They don’t really talk about their struggles or are open with it. 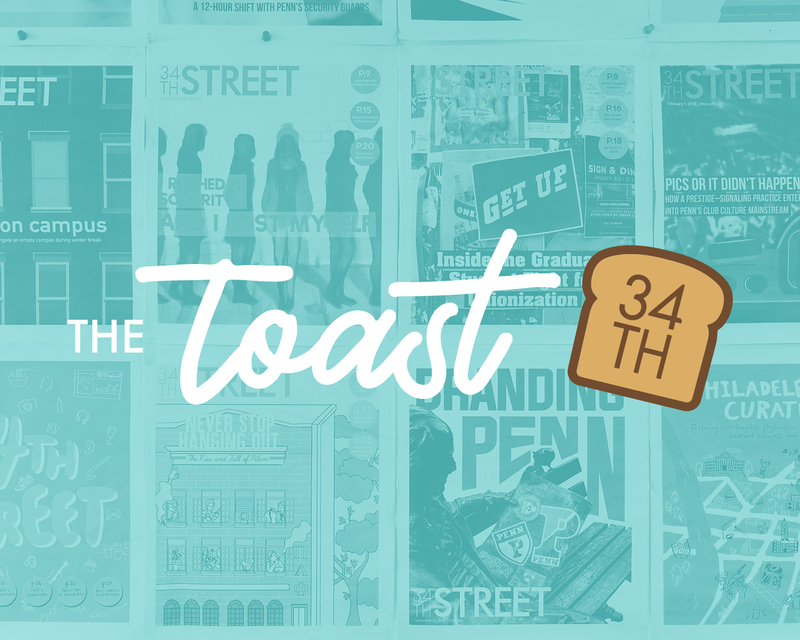 I’m sure both of you have heard of Penn Face – it’s definitely really prevalent here – but it’s really important to make sure that we foster a community here where we feel like its okay to talk about the struggles. Gutmann: Yeah, I mean, I’ve learned that, I mean, I think most of us learn it the hard way and I hope we can hope more people learn it the easy – there’s no easy way, but an easier way. I just have so identified with students I’ve talked to who’ve lost – there are now groups on this campus for students who have lost members of their family, and for students who are, you know, targeted – you know, for, who are Muslim or Jewish, or you know, black students, or you know, students who have, you know – you know, there are so many different issues we all think where – and we are unique, but I’ve learned that there’s help – there are groups and individuals to help. And we have to make that group, and communicate that better. Xu: I think that’s definitely important. Moving more towards your experiences here at Penn, I was wondering if you could tell me a little bit about the biggest challenges you face personally here at Penn and kind of what you’ve learned from those experiences, but also what you’ve learned from the Penn community in those experiences. Gutmann: You wanna go first on this one? Pritchett: OK, well, and actually it’s related. There are a couple of related issues. Well the first one I’d start with is just the challenge of work/life balance. Um, you know, because I think we’re all pretty ambitious people here. Um and I think of myself as one too, but, you know, you also have family and friends to work to take care of and to support and celebrate, and you know, most of my experience here has been as a faculty member — I’m a new, relatively new administrator so I think about how I interacted here as a faculty member and that is a constant challenge. And again I think the talking to colleagues and friends is about how do you balance the many ambitions you have -- to be a great father and a great husband and also a great scholar. And you know so as I think about that for myself that’s probably been the thing I’ve tried to work through here. But when I think of myself as a teacher, I mean that’s what I’ve tried to help my students work through also, right, cause again we’re all ambitious people and we’re trying to figure out how do we do many things and have an impact and support our friends and so. You know I found that as I’ve gotten older and wiser, hopefully, um, that, you know, trying to help my students think through those questions. And of course, you know, being an African American professor in a place that we certainly have more under [...] than we used to but we, you know, we don’t have, and certainly fifty years ago didn’t have a lot and so lots of African American students or other students would come to me and were particularly interested in talking about the challenges in those contexts. You know, I have found, again getting back to community and talking to each other that, you know, working together in groups, you know, for example I spend a lot of time with law, the Penn black law students association and that together, you know, focusing on tasks that we, not only would we feel better about the things we were trying to improve, but we felt better about ourselves because, you know, the best way to really feel well and supported is to be engaged in meaningful work with other people. 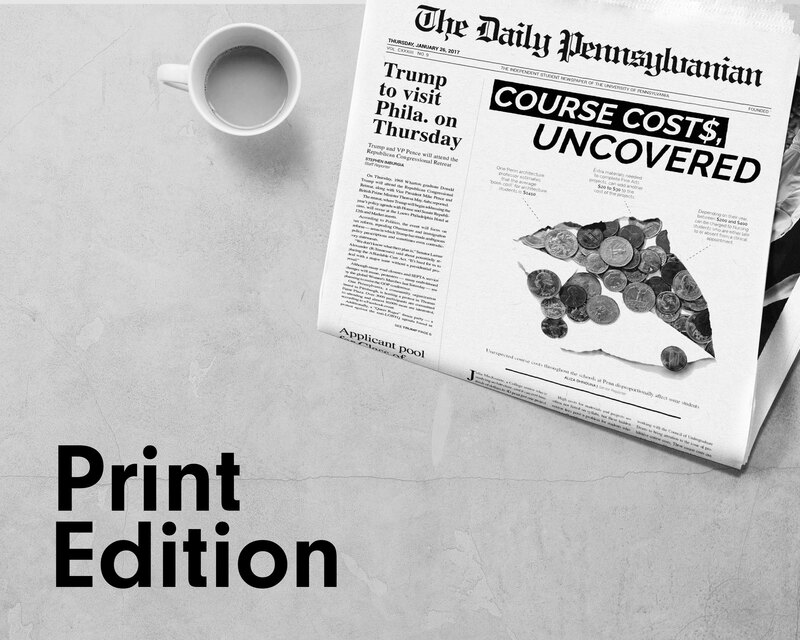 Gutmann: Yeah, so, the two things that come to mind they’re two — you asked about the biggest challenges — so the two things since I’ve been Penn president that come to mind are very different. One is the great recession. So, between 2008 and 2010, in two years nine million Americans lost their jobs and among those were parents of Penn students and we, there were faculty and staff and students. Faculty and staff wondered whether their jobs would be protected, so having to make sure that faculty, staff and students, all were protected as best we could. I mean it was so incredibly disorienting and terrifying and in fact, um, there were many, many, many months where nobody knew whether the bottom would totally fall out. If it would go from a great recession to a great depression. That was a huge challenge and unlike some other institutions we rallied and did not lay people off and also made sure that we ramped up financial aid for our students. So that was a kind of challenge where I felt while it was the external world on us, there was something we could really, um, band together and while we couldn’t solve the world economy we could really come do well here and we’ve continued on the, the financial aid is a continual challenge because while the economy has recovered really the, many, many families still find it challenging and some of the similar things happen with DACA and with immigration and so on. The second one is very different. I don’t think it will surprise you but the single, most challenging, hardest, most heartbreaking thing a university, any university president can do is to talk to parents who have lost their children. And, it’s... it’s, there’s nothing I know that there’s nothing I can do to bring a person back to this campus. It leaves every, every student death leaves mothers and fathers, sisters and brothers, teammates, classmates, everybody bereft and it’s a gaping hole in our community. Speaking to the parents is very, is difficult but I am always struck by how... how listening really makes a difference. Hearing the stories, relating what I know about the students, but more listening to the stories and seeing if there’s anything we can do more to help is, it’s a very small thing, but it’s sometimes the only thing you can do are small things. And that’s that’s the moment — that’s as difficult as it gets. Xu: Alright, thanks President Gutmann. You’ve touched on two of the most important issues that students face on campus, at least in my opinion, from my experience with the Undergraduate Assembly I know like we’ve really been focussing on the cost of attendance at Penn and also just mental wellness here, I think with the cost of attendance I know we’ve … this year with eliminating course fees and things like that so continuing on those issues I think is super important and I look forward to working with you on it. Gutmann: And making textbooks more available, so students don’t have to buy them. Or getting ways of, having more money for students, um, especially low or middle income students and making Penn more affordable to everyone. Xu: Yeah, and Provost Pritchett I kind of wanted to touch upon… your experience as a faculty member at Penn from what I see the interface between faculty and students is super important, um, other than the role as educator, I know you talked about trying to connect with your students, what do you see as, other than being an educator, what do you see as the role of faculty is on campus and how they’ve been doing so far? Pritchett: So thank you for that qualification, but you know [laughter] it’s uh been really fun to get to know students at that level. And again I think that we have, we have a lot of benefits at the law school because we just, we see each other all the time, but you know, getting back to your question, you know, there are lots of communities within our community and trying to build them out and trying to figure out how faculty and students can be connected at a really meaningful level again, not just in the classroom, but outside of it is really one of my main goals as provost and I know the president agrees that it’s really important and so to get, to get just a little bit deeper as I’ve talked to faculty in my job a couple months into it there’s just tons of faculty who would like to be engaged at a deeper, or more meaningful way with students and so we’re working on lots of things in that area, you know, with regard to challenges that students face, I mean, even things like just making sure that faculty are aware of all the resources that are available to students and to everybody. And you know we’ve done a lot of work in that area, but there’s more that we can do to make sure that we’re tying it, or connecting to each other in every way that we can to support each other. Xu: Just really quick, last question. I know, in your roles as president and provost, I’m sure you’ve connected with people all across campus whether that’s students, faculty, staff, alumni in all of the schools and at all levels. What do you see from your perspectives? And how would you characterize how the Penn community is doing right now? Gutmann: I feel, hear, and see sitting down with students, staff and faculty and alumni, but especially students, um, faculty, and staff that this is a very disorienting period. It’s wrenchingly disorienting. Uh, it just goes on, whether it’s students who are dying from cancer, accidents or suicide or DACA being challenged or immigration being challenged, or, um, we have hundreds of students — I met freshmen, just at convocation coming from Houston or New Mexico — whether it’s the natural disasters, earthquakes and hurricanes, uh, there is nobody in our community, I think, who is immune from feeling the sense of disorientation and it manifests itself in different ways. It was what you said: how do you counter the Penn Face? Well you have to be able — it goes back to when I was, and I thought this was, it just resonated with me, because it goes back to so much of the challenges that I’ve had that I have not been able to, felt that I could overcome on my own except by just sucking it up, you know doing it my. And that’s just generally not the best way. So I think the best way of orienting ourselves through disorienting times, which don’t have simple solutions is to find ways of being together more and finding more ways of helping each other. Pritchett: I think Amy captured it really well so I’ll just amplify a couple of things briefly. I mean I do think that, um, this is a really disorienting period. We have to come together to deal with that. Um, and I think that we, we have a wonderful institution and we have lots of parts of the institution that are serving students and others and so of course it’s our job to continue to improve those programs, psychological services and career planning and all of those kinds of services. It’s certainly our job and we can always get better, and we have wonderful people we can always get better. So that’s one thing. But I think even more importantly, as Amy said is trying to figure out how to tie these threads together so that everybody feels that they have many people to turn to, you know, so, again, the centers, but also faculty, also peers, and that everybody has several people that they feel like they can turn to anytime they feel disoriented. That’s, that’s the biggest thing that everyone should be focused on — trying to do that. Gutmann: And hearing more from, and one of the reasons we wanna have this website where we get input is we continually, we have this mission, I articulated our values, but those are guiding stars and then we have to find out from students and faculty and staff, everybody. 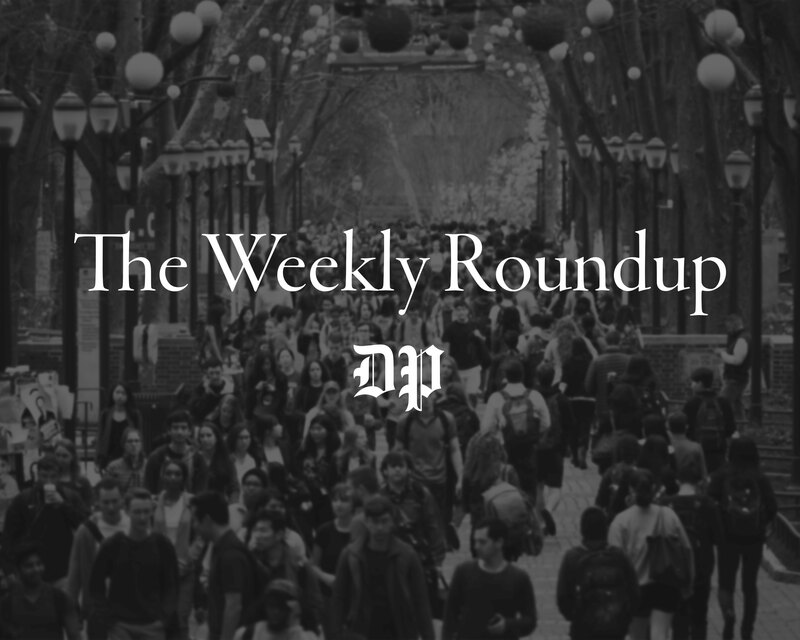 We are a community of ideas, not every idea can we do, but almost everything we’ve done, whether it’s improving our financial aid or improving CAPS or, you know, bringing support for student groups, peer-to-peer counseling, Thrive-at-Penn, and ICAREs. Everything has come up though suggestions from either our community of students, faculty and staff, or through professionals and places like the Jed foundation. So having more of that, I think is a very, very positive and I hear a lot from students as I spend time with student groups and go to athletic events and performing arts events and arts and culture. It’s a way of, um, I think we just need to make people feel more open in non-threatening ways. And that that will actually help us move forward. Xu: And I would be open to talking with you guys more at the follow up events that I know we’ll lead to after this, but I just wanted to thank both of you for sitting here and talking with me, um, I know we have panelists coming in soon, so thank you so much. News editor Madeleine Lamon and Staff reporter James Meadows contributed reporting to this article.